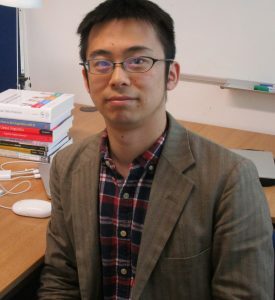 I am a Birmingham Fellow at the Department of English Language and Linguistics, University of Birmingham, as well as a Visiting Scientist at the Natural Language Understanding Team at the Center for Advanced Intelligence Project, RIKEN. My primary research interest spans two areas; second language acquisition and corpus linguistics. I am currently investigating the second language development of linguistic complexity and accuracy based on a large-scale learner corpus. In addition to this website, you can also find me on Twitter, Academia.edu, LinkedIn, and Google Scholar.